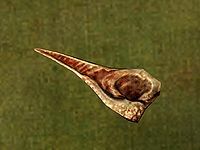 Falmer Ears are dropped by dead Falmer. They are not related to elves ear, which is a plant as opposed to an actual ear. All Falmer, including Falmer Nightprowlers and Falmer Shadowmasters, have a 63% chance of dropping 1-2 Falmer ears. The best place to find them is in Falmer hives.